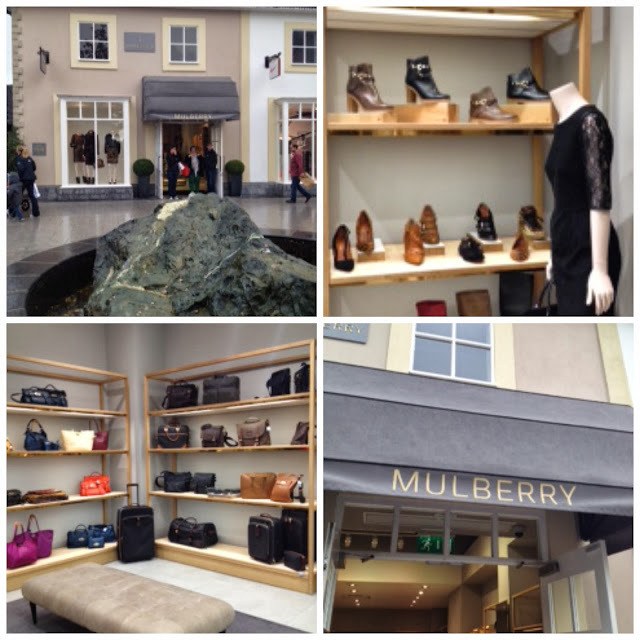 I was not the only handbag fan who got a little bit excited about Mulberry opening an outlet on Irish soil. Kildare Village Outlets are owned by the same company as Bicester across in England and it has many of the same shops - though it never had a Mulberry shop...until this month! Now I'm a Kildare girl born and bred but a combination of birthday parties (the girls), rugby matches (the boys) and choir concerts (me) means that I'm not going to get down to check it out in person until closer to Christmas. So when I heard my friend Ciara was going there this weekend, I asked if she'd mind taking a few photos and noting a few prices. 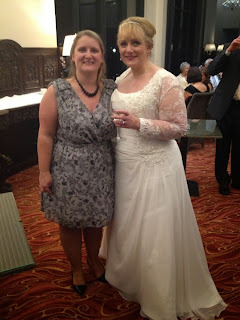 Well the girl did good and is now SGS's official roving reporter...thank you lovely lady! 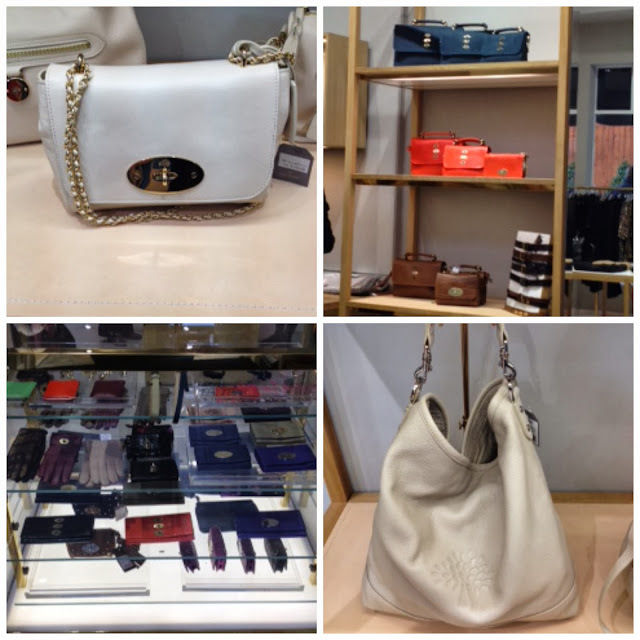 So the this store has more than just handbags, it's got clothes, accessories, shoes, luggage and purses as well as a great selection of Mulberry favourites. The sales assistant told Ciara that the two best sellers were the Lily (€434) and the Effie Hobo (€504) both pictured in white. 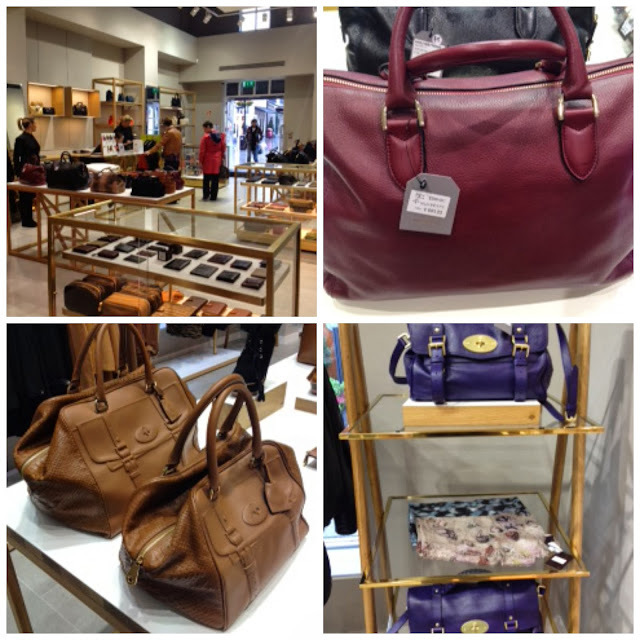 The Del Rey was there in black and black forest (purple) for €693 rrp €990. These two tan Maisie's are stunning - the large was priced at €595. And Ciara tells me that the next new shop to open next week is l'Occitane. My resolve is weakening...who wants to do a day trip? My thanks go to Ciara Huxley, SGS's roving reporter (pictured below at last month's wedding) for a fantastic report back from Kildare Village! We have one in York. I go in there every now and then with my friend to stroke the bags. Oh excitement - a visit is def on the cards!